 We are Blue Tuna, a production company based in London. Since our beginning, in 2002, we’ve crafted professional film and video content for online, corporate, advertising, live events and broadcast television platforms. We manage a diverse client list and cater for well known brands and FTSE-listed companies through to smaller businesses, individuals and organisations. As well as offering creative video services for our clients, we also like to think we’re rather savvy at the technology end of production too. Our facilities arm, Shoot Blue, is one of London’s leading camera and lighting rental companies, plus we also run dedicated divisions offering Post Production and Aerial Filming. In all, we’re perhaps a little different compared to most other production agencies. Our particular combination of creative skill and technical ingenuity provides us with a unique insight and enables us to offer a solution that might otherwise be overlooked, deemed too complex or beyond the scope of your budget. Finally, we believe in being straightforward to work with and our starting point is always to first understand and consider your requirements. We also recognise that collaboration is key to the success of a project and we’ll engage with you at every stage of the production process. If you feel that we might be a good fit to achieve your vision and have a project that you’d like to discuss with us, please get in touch.